OH YES! It's time for round two ! In February, 2019 we collaborated with Sargood on Collaroy to realise a long standing dream of facilitating Australia’s first Adaptive Yoga Retreat for people living with varying degrees of spinal cord injury. Man-made words could never capture what occurred in that collective cauldron of subtle world experiences, but we all left with a deep and sincere knowing that this would be the first like it of many more. If you or someone you know living with spinal cord injury would like to join, we’d love to hear from you. Join facilitators Brooke Elliston and Lara Zilibowitz for 5 nights and six days of individually tailored adaptive yoga, breath work, meditation, sound healing and nature adventuring. Our days will be filled juicy guided practices for all abilities set to healing and hypnotic live sounds of Benny Holloway, as we fertilise the soil and seedlings of our innermost ecology. Our beachfront immersion space is the only of its kind in the world, a fully accessible resort overlooking the entire span of Collaroy Beach and the Pacific Ocean. We will have one assistant per guest to ensure the highest level of care and attention. All of our assistants are fully qualified yoga and meditation instructors. 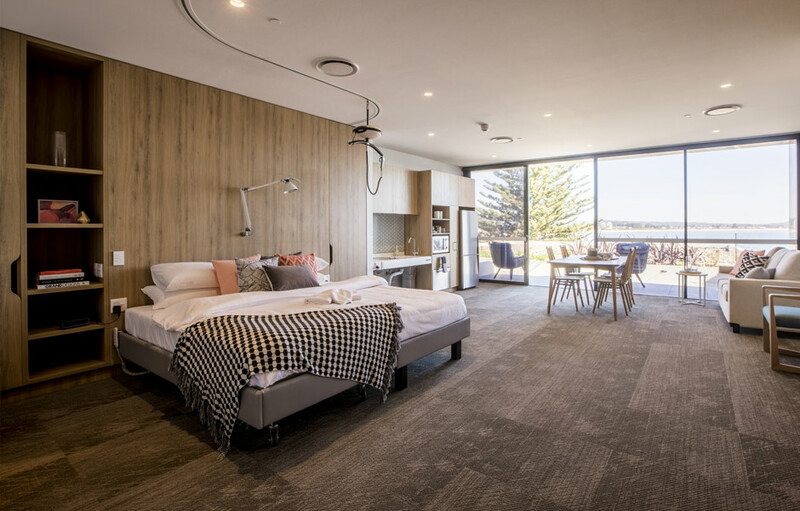 Sargood on Collaroy has 17 fully accessible rooms and suites all featuring the very latest in adaptive technology, home automation, accessible equipment and daily living aids. Rooms either look out onto our luscious green gardens or have panoramic views of the waves and the ocean. Rooms can be completely customised to suit individual needs. Our passion is making every tiny dot and detail of the retreat experience one that is profound, memorable and transformative, and that most definitely goes for every love infused bite of food too. You will be nourished from the inside out with the most exquisite and healthful flavours, celebrating the abundance of seasonal and locally produced foods. Final day adventure to the seaside!